Only subscribers have access NOW to these Exclusive concerts. After adding your 2019-2020 subscription renewal to your cart select your desired concerts from the calendar below. You may also add parking by clicking the Subscriber Parking button above. 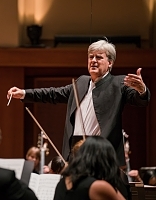 Thomas Dausgaard takes the stage in his first concert as Music Director in a program that includes pianist Daniil Trifonov performing Rachmaninov’s Piano Concerto No. 4. Be part of the glamour and excitement of Dausgaard’s inaugural Opening Night with us! 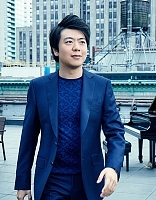 The sensational Lang Lang returns to Benaroya Hall for a one-night-only concert with the Seattle Symphony. “His playing was so raptly beautiful that one was afraid to breathe for fear of missing anything” (Chicago Tribune). 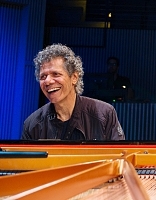 Twenty-two-time Grammy-winning jazz legend, pianist and composer Chick Corea partners with the Seattle Symphony on George Gershwin’s iconic Rhapsody in Blue. From the opening clarinet trill to the energized and rhapsodic piano passages, this beloved American classic melts in this master jazz pianist’s hands. Dive into the mythical world of Orfeo, the legendary musician who journeyed into the underworld to bring his beloved wife Euridice back to life. 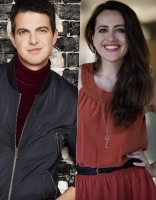 Rockstar countertenor Philippe Jaroussky assumes the role of the mythic Orfeo, guiding us through three major operatic settings of this tale by opera pioneers Monteverdi, Sartorio and Rossi.